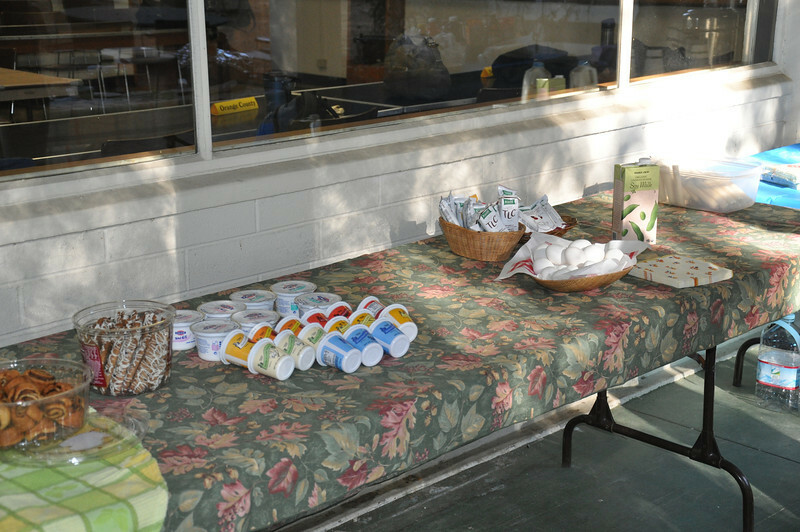 Yoghurt, breakfast pastries, bagels and cream cheese were available. A basket of hard boiled eggs is visible on the right. When I come to a morning meeting, I consider breakfast as a sustenance matter rather than entertainment. I'd be satisfied with fewer and simpler choices that would not require much work from the hosting chapter.